Be the first to share your favorite memory, photo or story of Maxie. This memorial page is dedicated for family, friends and future generations to celebrate the life of their loved one. Mr. Maxie Twyman Matney of Greensburg, Kentucky, son of the late Lloyd Albert Matney and Faye Young Matney, was born on Sunday, September 10, 1950 in Green County and departed this life on Wednesday, March 20, 2019 at the Jewish Hospital in Louisville. He was 68 years, 6 months, and 10 days of age. He had made a profession of faith in Christ and was a member of the Maple Hill United Methodist Church and attended Green Hill Baptist Church. He was also a former driller in the Crude Oil Business. Survived by his wife of 50 years, Debra Lynn Conner Matney of Greensburg, having united in marriage on January 25, 1969. Other survivors include two sons and a daughter-in-law: Brian and Jennifer Matney of Columbia, and Brent Max Matney of Greensburg; three grandchildren: Kimber Thompson and her husband, Jordon of Greensburg, Sarah Elizabeth Matney, Bailey Maxx Matney both of Campbellsville; two step-grandchildren: Korey Hundley, and Dalton Hundley both of Columbia; one great-grandchild: Silas Grey Thompson of Greensburg; a brother and sister: Jerry Donald Matney of Indiana, and Rosie Nell Hurt of Greensburg; and a host of other relatives and friends. Mr. Matney was also preceded in death by four brothers and two sisters. 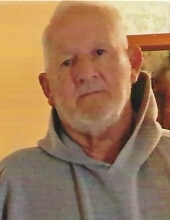 The funeral services for Mr. Maxie Twyman Matney will be conducted at 11:00 A.M., Central Time, Friday, March 22, 2019 at the Cowherd and Parrott Funeral Home with burial to follow in the Maple Hill Cemetery. Bro. Steve Janes officiating. Visitation is requested after 9 A.M., Central Time, Friday at the Cowherd and Parrott Funeral Home until time of the funeral service. To plant a tree in memory of Maxie Twyman Matney, please visit our Tribute Store. "Email Address" would like to share the life celebration of Maxie Twyman Matney. Click on the "link" to go to share a favorite memory or leave a condolence message for the family.